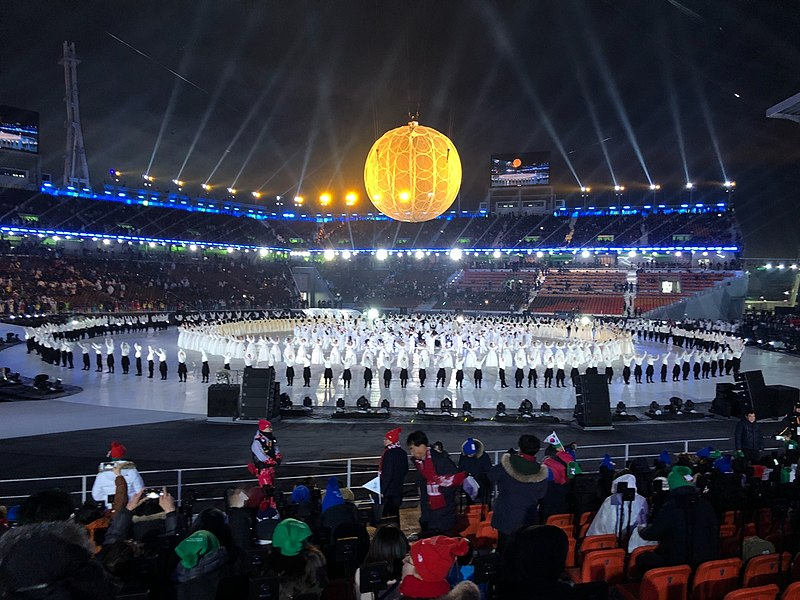 The 2018 Pyeongchang Paralympics Opening Ceremony. Every two years, millions of people worldwide tune into the summer or winter Olympics and contribute to the constant buzz surrounding the Games. However, what follows shortly after is somewhat of a mystery to most people. But for those who aspire to be athletes but are hindered in some way, the Paralympics are a must-see. With the conclusion of the 2018 Winter Paralympic Games this past Sunday, March 18, the biennial conversation surrounding them and their lack of attention has sparked yet again. Part of the reason many people don’t tune into the Paralympics is that they don’t relate to them. It’s easy for a person to aspire to be the next Michael Phelps or Usain Bolt when they are on the same path that they once were in training. But it’s not so easy to aspire to be the next Trischa Zorn or Tanni Grey-Thompson when you aren’t blind or a wheelchair user. Naturally, of course, it’s still very possible to aspire to have the same skill set as those competing in the Paralympics. But unfortunately, people don’t always pay attention to whatever doesn’t have anything to do with them. Admittedly, disabled people who are qualified to be in the Paralympics are few and far between, but a niche community doesn’t necessitate limited media attention. Perhaps the reason people don’t tune into the Paralympics is simply that they don’t know about it. With 2,400 hours of NBC broadcasting for the 2018 Olympic Games, the 94 (double that of Sochi 2014) hours allotted to the Paralympics simply cannot compete. Fortunately, the conversation is always open as to what can be done to raise awareness of the Paralympics. Many people argue that they should occur and be aired at the same time as the regular Olympic Games to both normalize and popularize the events and to avoid the ever-present drop in support for Paralympians following that of America’s favorite Olympians. The Paralympics change the way people see disabilities. The “not my problem” mindset is outdated; acceptance of people of all different backgrounds and abilities has been on a constant increase, and the Paralympics are one of the strongest catalysts of this movement. It’s important to honor those who have faced outrageous adversity, and patting ourselves on the back for even having the Paralympics in the first place is not enough. If there is a logistic reason for not combining them with the Olympics, there is a logistic reason for finding another way to equalize them.